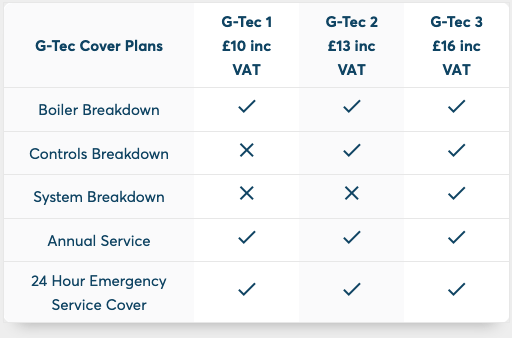 For your convenience we have ensured that our G-Tec Plans are simple and straight forward. 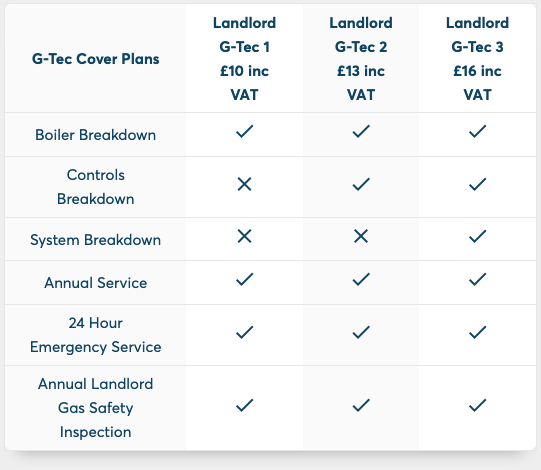 We will carry out a boiler service yearly and fix your boiler, controls or system if anything breaks down. Parts and labour are included. There are no hidden costs and no excess charges. Simply call us and we will respond promptly. All prices are per calendar month. Prices listed above are including VAT. We reserve the right to cancel your contract if unforeseen circumstances arise, you will be notified.